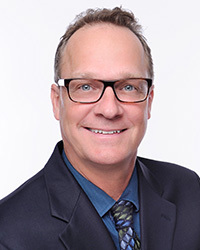 Dr. Kevin Kunkel received his Bachelor of Science from Stanford University and then received his Master of Science in Physical Therapy and his doctorate from the University of Miami. He is a practicing physical therapist and the owner of a comprehensive outpatient rehabilitation facility, The Flagler Institute for Rehabilitation, located in West Palm Beach. He became certified in Manual Lymphatic Drainage in 1999 and has extensive experience in the treatment of breast cancer related lymphedema and other forms of lymphedema/edema. Prior to developing the outpatient center, he practiced in multiple settings including ICU, acute care, acute inpatient rehabilitation, sub-acute rehabilitation and home health. He has been teaching since 2001 with a focus on cardiopulmonary, oncology, integumentary, medical pathology, gender issues, and applied decision making. He joined the University of St. Augustine for Health Sciences in 2017. His passion is to impart the treatment and professional experiences gained over 28 years of practice into the classroom setting to enhance students’ understanding.